As promised, here is another pasta sauce variation that’s a bit lighter than the cream sauce I posted earlier this week. 1. Melt the butter in a skillet. 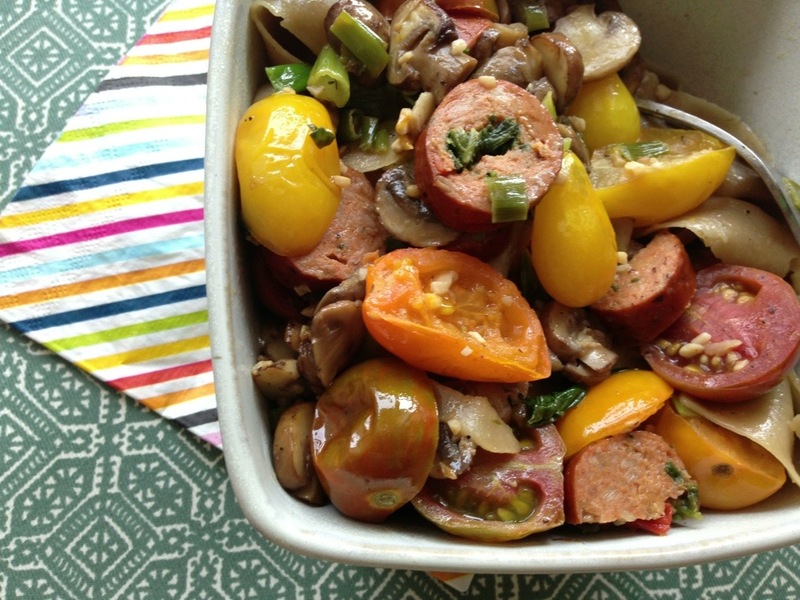 Add the mushrooms, garlic, tomatoes, and sausage. 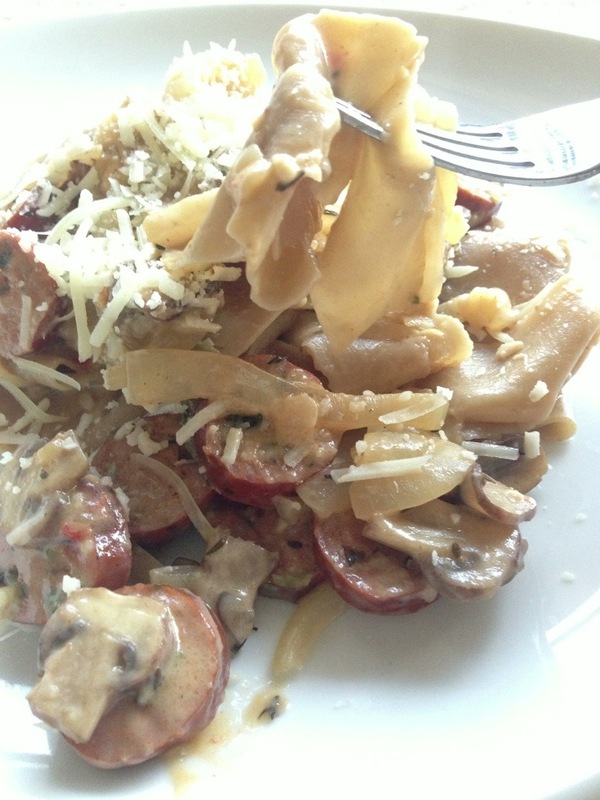 Sauté until the mushrooms are beginning to soften and sausage is getting golden. 2. Add a splash of white wine and chicken broth when the skillet starts to look a little dry. Continue to cook to reduce the liquid. Season with salt and pepper. 3. Add fresh basil and serve your favorite cooked pasta tossed in this sauce. Sprinkle with parmesan cheese if you’d like. 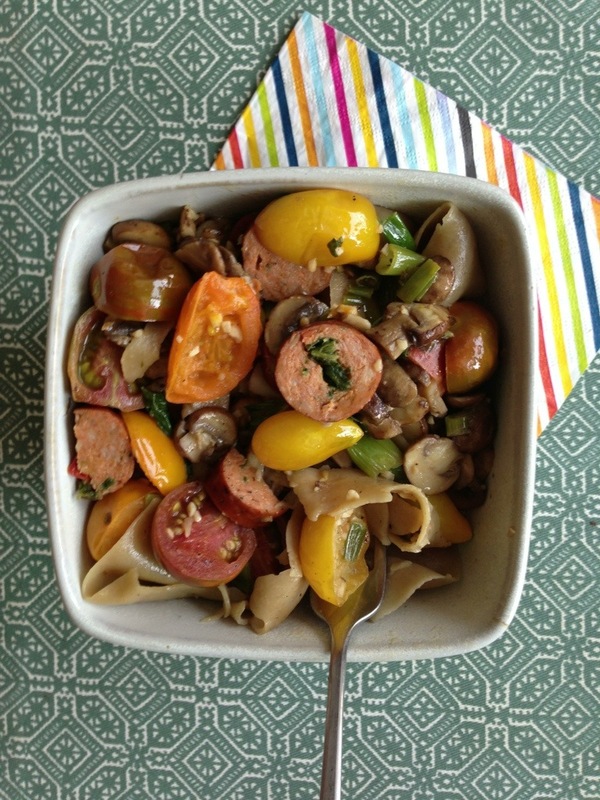 This colorful pasta sauce has great, fresh flavor. It’s perfect for a summer meal alongside a leafy green salad. Las Vegas farmer’s markets have a limited selection of fresh foods this time of year. You may have seen my purple cauliflower post recently, and I got some really good strawberries there too. 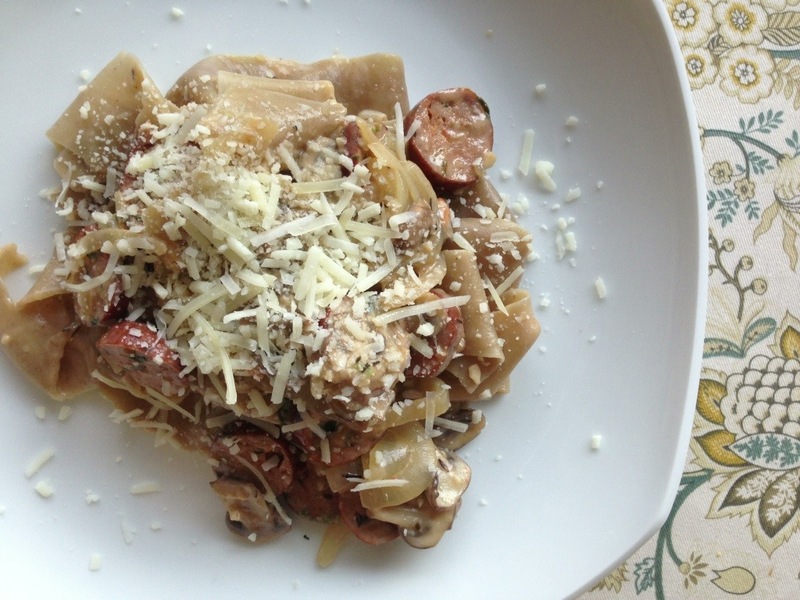 Another great find at the farmer’s market was fresh porcini mushroom pasta. It was made the morning I bought it using ground up dried porcinis and semolina. So good! 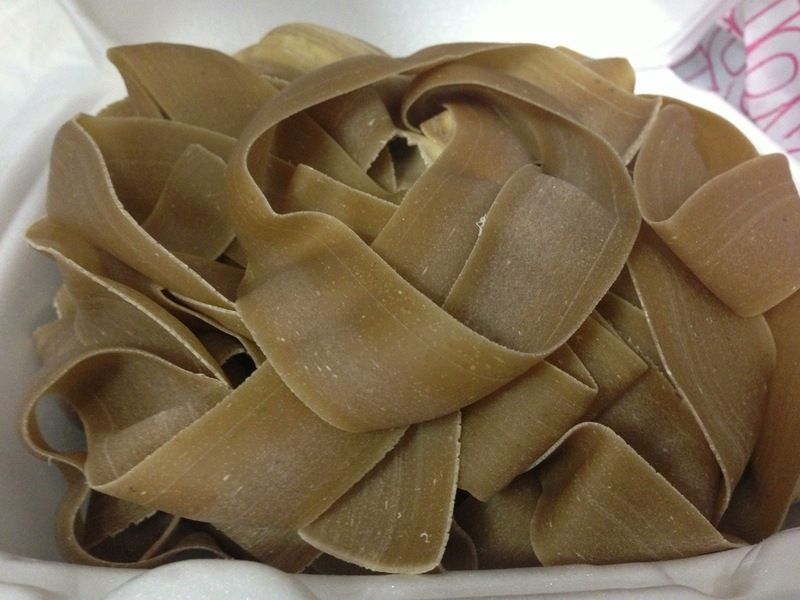 Fresh pasta only takes about 2-3 minutes to cook. I tossed mine with two different mushroom sauce variations- a creamy one and a lighter garlicky one. Here’s how to make the cream sauce. 1. Sauté the onion and diced chicken sausage in olive oil. Once the onion is translucent, add garlic, mushrooms, and a splash of white wine. 2. Once the mushrooms begin to soften, add the milk, half & half, and thyme. 3. Simmer the sauce until it thickens, then season with salt and pepper to taste. 4. 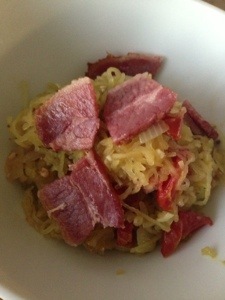 Toss the pasta sauce with your favorite cooked pasta and top with shredded parmesan. The fresh pasta was amazing with homemade sauce! Much better tasting than jarred Alfredo sauces and cream of mushroom soup based sauces. Stay tuned for the garlic butter sauce recipe! 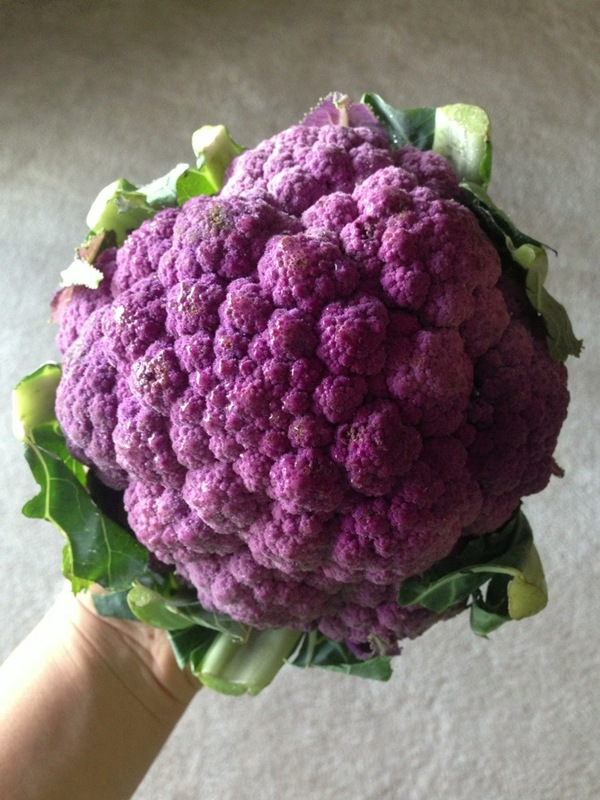 I bought purple cauliflower at the farmer’s market! Purple cauliflower is naturally purple from the unusually high concentration of an antioxidant pigment called anthocyanin in its flesh. This antioxidant is also found in red cabbage. 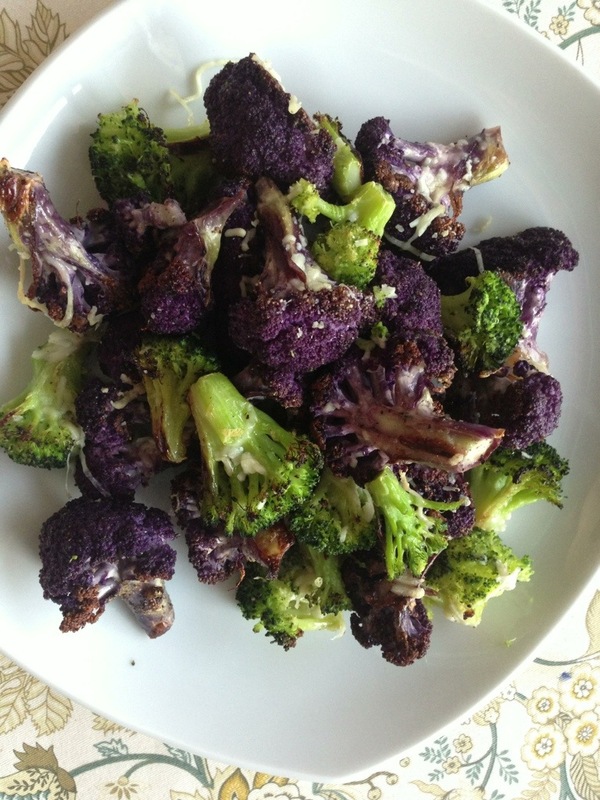 Purple cauliflower has a milder, sweeter taste than regular white cauliflower. 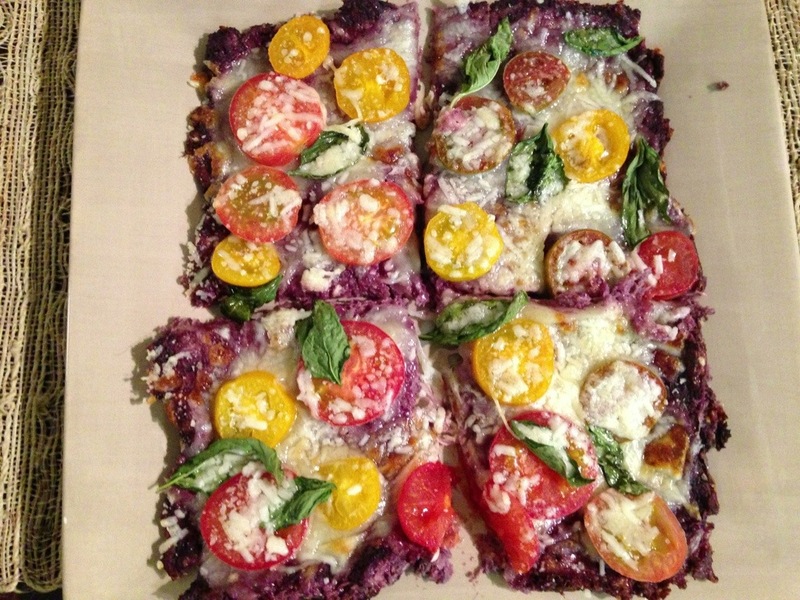 There were a lot of leftovers, so I made a rainbow pizza! 1. Steam the cauliflower florets until tender. Preheat oven to 450 degrees. 2. Purée the florets in a food processor or mash with a potato masher. 3. Allow the mash to cool, then squeeze out as much moisture as possible. Add egg, cheese, and seasonings. 4. Spread the mash on a parchment lined baking sheet. Bake until golden and firm, about 15-20 mins. 5. 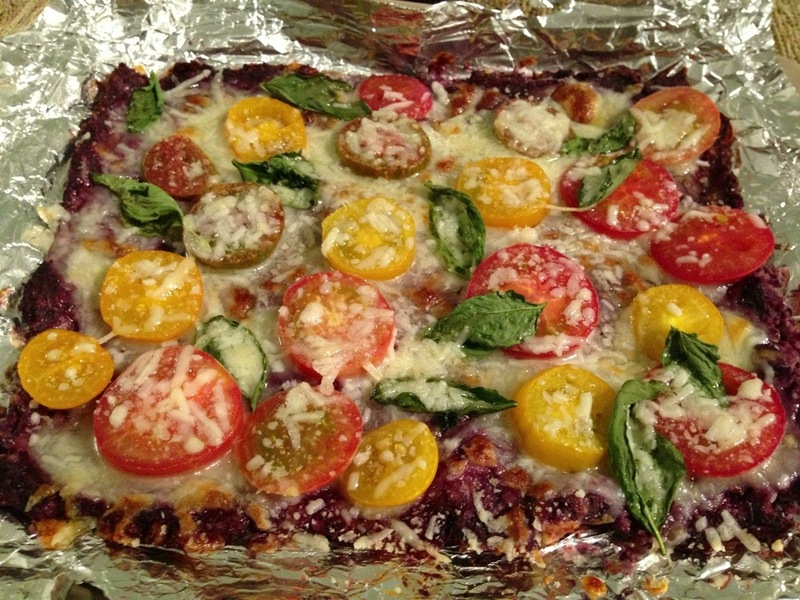 Top the crust with sauce, cheese, sliced tomatoes, basil, and any other things you like. Broil for 5 mins or until the cheese is bubbly and golden. Enjoy!! It’s very important to squeeze out lots of the cauliflower moisture before forming the crust, otherwise the pizza will be mushy. You can make this recipe with white cauliflower too! I was really craving pancakes this morning and decided I would formulate a recipe that takes coconut flour pancakes to another level- fluffy, springy, and light. I succeeded! Now I just need to figure out how to cook them to keep their surface from getting so dark. 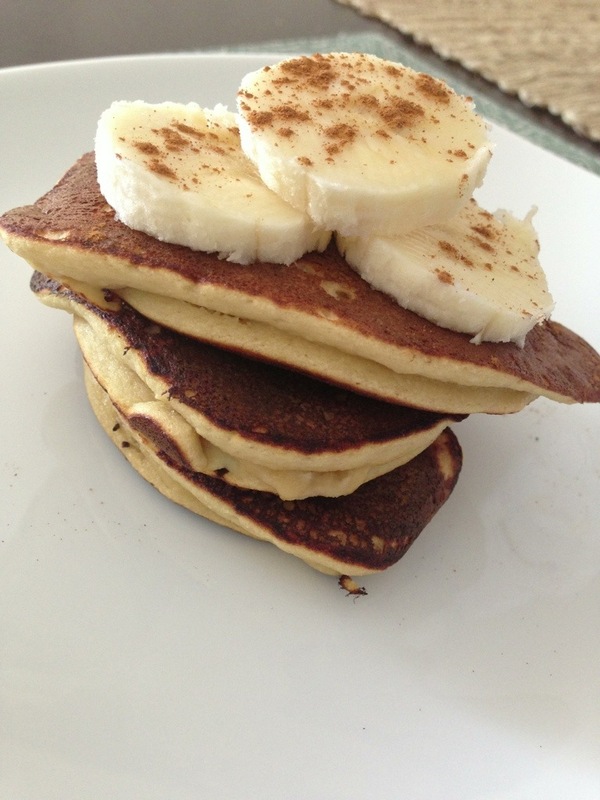 Try making them without banana and tell me if that does the trick! 1. Combine all ingredients in a magic bullet or mash together in a bowl. Add milk as needed to adjust batter consistency. 2. cook about 2 mins per side on a lightly greased griddle or frying pan. 3. Serve with fruit, maple syrup, and cinnamon!